The magazine release is extra-long and has an oversized button that allows for magazine changes without changing your grip. Quick and easy to install without gunsmithing. 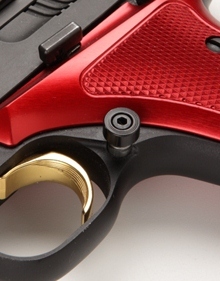 Machined 6061-T6 button with durable anodize finish and steel magazine catch.